Hello, Adam here - welcome to theHealthBase. 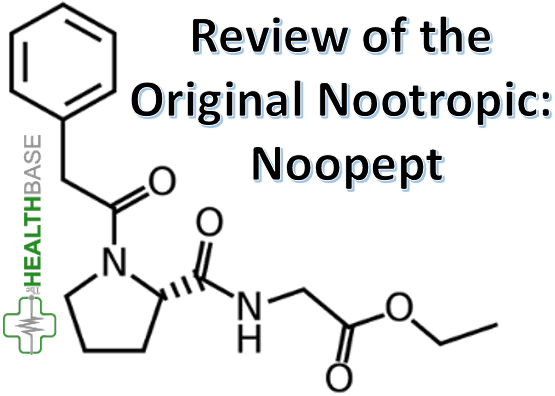 I am here today with a review of the compound known as Noopept. This ingredient is seen as being a vital addition to any cognitive boosting supplement – proven by the fact that all the top brands use it in their nootropics. Below I will examine this key ingredient in an in-depth fashion. 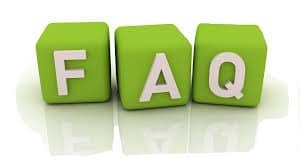 To do this, I will discuss what exactly this compound is; why it is so beneficial to the human body and mind; and the reasons for it being incorporated into so many of the best cognitive enhancers. Other names: Noopeptide, GVS-111, or N-phenylacetyl-L-prolyglycine ethyl ester. This natural agent is one of the best known nootropical ingredients that there is – either being used by itself or being stacked with other ingredients. The reason for its popularity is because it perfectly encapsulates all the positive impacts that are attributed to a cognitive boosting ingredient. Whether it be improving your cognitive functions, or maintaining and maximizing your mental health, this ingredient is a key tool. What exactly is it though? Well, it’s something that is known as a peptide. Originally created in Russia, this ingredient has since gone on to become a mainstay in the products supplied by all the top brands in this niche. Below are exactly why this is the case. The Noopept benefits and positive effects really are endless. They encompass all aspects of the cognitive realm, from maximizing functions to boosting the overall health of our brains. Below are the key ones. In terms of how this compound is actually taken, it’s best ingested orally. By doing so, it is absorbed into the body’s gastrointestinal tract via the bloodstream. Once this is achieved, this supplement will cross the blood-brain barrier swiftly. Next, when in the brain, it binds to the receptor sites located in the Glutamate neurotransmitter which results in it aiding in the prevention of the breakdown of Glutamate. This is key as Glutamate is one of the most powerful of the neurotransmitters and is vital for maximizing cognitive functions. 1 – Boosts the amount of oxygen that the brain receives. Noopept capsules and powder are the two norms when it comes to taking this particular ingredient. Some people buy this compound in its pure form, however it would be remiss of me to not add a warning to this method. WARNING: this is a very potent ingredient, and it can be easy to get the dosage wrong. Therefore, as such, it can be very difficult to experiment with and to get right. This is why it is often best to stack it with other ingredients. Stacking is basically where you mix and match ingredients in order to 1) boost the effectiveness of any one ingredient 2) minimize the negatives impacts any one ingredient. You’ll be glad to hear that any Noopept side effects are far and few between – this of course is another very attractive element to this ingredient. Below I have listed some key bits of advice that circle around any potential side effects or negative aspects. It's key to cycle: cycling any supplement is a good idea. Why? Simply, because your body can become accustomed to a foreign agent and over time the positive effects of it can diminish. Cycling keeps the supplement in question that your taking fresh and potent. In terms of this supplement, my personal experience is that it works best when taken for a 6 – 8 week period, then left alone for 3 – 4 weeks. Though, in saying this, everyone is different so a bit of experimenting on your part may be a good idea. Don't be excessive: as I’ve said before, this ingredient is very powerful and difficult to self-dose. Getting the dosage wrong can lead to dizziness, headaches, lack of sleep, and irritability. This is why I recommend stacking this compound with other ingredients. Interferes with sleep: this supplement is essentially a cognitive boosting agent, supplying the brain with more alertness and mental energy. As such, if it is taken in the evening or at night then don’t be surprised if you have trouble sleeping soon after! When it comes to figuring out where to buy Noopept, you cannot go wrong with the official websites of the top brands. This is where you can avail of the top deals and special offers. There is no evidence that suggests that it is. I wouldn’t recommend it! There’s no real need to take it any other way than orally. The best method of taking this ingredient is by stacking it with other beneficial compounds. Is this ingredient a stimulant? No, not technically, but it does provide a boost of mental energy. However, unlike as with caffeine, this energy will be supplied at a steady, regulated manner with no steep dip afterwards. Yes. It has been clinically proven to be very safe. Well, there you have it, folks. That’s everything that you need to know about an ingredient that is seen as being the founding blocks of all the top nootropic products on the market today. For examples of these top products, and for a thorough examination of this niche, please click on the relevant links supplied below.